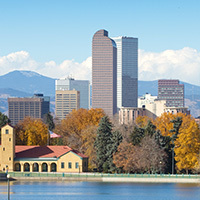 The Regional Air Quality Council (RAQC) was established in 1989 to serve as the lead air quality planning agency for the Denver metropolitan area. 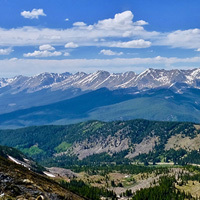 In July 2013, Governor John Hickenlooper extended and amended the RAQC as the lead air quality planning agency for the Denver metropolitan area and the Denver Metro/North Front Range Ozone Non-Attainment Area. 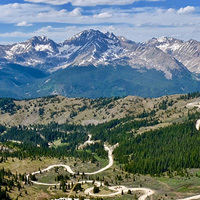 On an annual basis, the RAQC implements a work plan, which focuses on planning and strategy development to reduce emissions and meet air quality standards, implementing incentive programs to reduce emissions from mobile sources and lawn/garden equipment, and administering programs of public information and education on air quality matters. 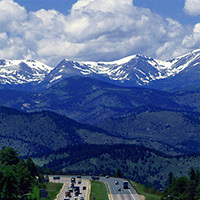 The Governor has directed Council to continue its work to engage in a coordinated process with Colorado Department of Public Health and Environment (CDPHE), Colorado Department of Transportation (CDOT), affected local governments, transportation agencies, and others, as appropriate, to develop and report on options to further reduce emissions from vehicles, reduce vehicle miles traveled and other measures that yield emission reductions from the transportation sector. The Council shall lead the discussions of transportation related air quality issues and provide for the broad coordination and opportunity for public involvement necessary to address this issue. Under the Executive Order (B 2013 007) extending and amending the Council, the RAQC continues in existence until further modification or rescission by the Governor. In 2008, the RAQC developed a plan to achieve compliance of the 1997 8-hour ozone standard (0.08 parts per million (ppm)). The continued work of the Council is necessary in light of multiple air quality issues including, but not limited to, the ongoing identification of strategies for reducing ozone-causing emissions with a focus on emissions from the transportation sector to come into compliance with the 2008 federal ozone standard (.075 ppm), and the fact that in April 2018, the U.S. Environmental Protection Agency (EPA) finalized its designation of the Denver Metro/North Front Range region as a nonattainment area for the new, tighter 2015 Ozone Standard (0.07 ppm). In addition to developing these federally mandated plans, the Governor has charged the Council with developing and administering public education programs regarding air quality and air pollution control and prevention in the Denver area. Council shall continue its ongoing efforts to reduce vehicle tailpipe emissions through the Simple Steps. Better Air. program, Charge Ahead Colorado, ALT Fuels Colorado, Mow Down Pollution Residential and Commercial programs and the diesel retrofit program. The Council also serves as an educational resource on regional air quality issues to elected city and county officials in the Denver region. Finally, the Council participates in rulemaking proceedings affecting air quality programs in the Denver area. Quality Control Commission in assessing and developing air quality plans and programs. 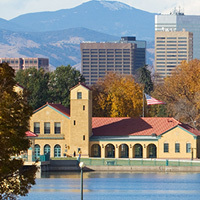 The work of the Council is coordinated with the regional and transportation planning programs of the Denver Regional Council of Governments, an organization of local elected officials, and the North Front Range Metropolitan Planning Organization, as appropriate. The Council also works closely with local governments, the General Assembly, the private sector, citizen groups and other affected parties to develop workable and sensible solutions for the Denver metro/North Front Range area.